Animal Friends, in cooperation with the City shelter for abandoned animals in Dumovec, is organizing a campaign to give home to the abandoned dogs that wait months and years for it. At the same time, a reconstruction of this shelter is in progress, so the majority of the dogs will be given temporary accommodation. Also, with this action we are calling for the adoption of numerous wounded dogs who were accommodated at the Faculty of Veterinary Medicine and are now waiting for adoption. 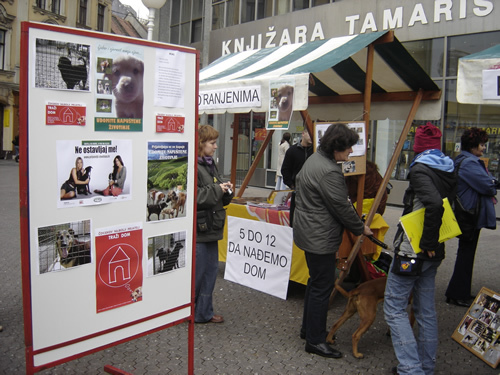 The campaign "Let's Give Them Home" will take place on Saturday, November 12, 2005, on Ban Jelacic Square. It will consist of info stands at which the problems of abandoned and wounded dogs will be directly presented to the citizens. At five minutes to twelve (11:55 A.M.), the dogs Carli, Bony-Lara, and Mimi - just a few of the dogs who are waiting for months and years in the City Shelter for Abandoned Animals for their new family will come to the info stand. 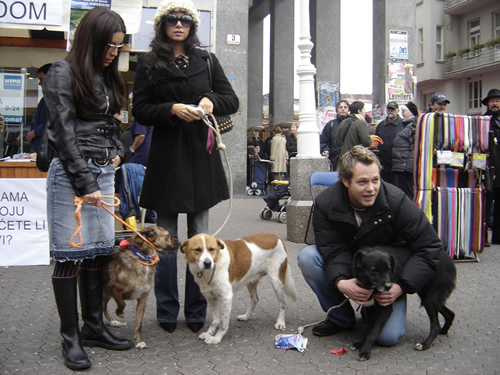 With their presence and appeals for giving homes to these dogs, the singer Lana Klingor, TV host show Nikolina Pisek, and actor Robert Boskovic will support this action. 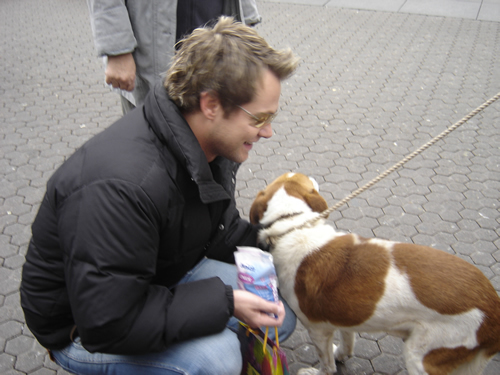 Animal Friends urges the citizens to show compassion and help the abandoned and wounded by giving them a home and a warm family atmosphere in the ongoing cold days.